Abundantia Entertainment CEO Vikram Malhotra is overseeing a slate of content-driven productions. In an exclusive interview, he breaks down the key aspects of his production strategy, the rise of the digital medium, and why it has changed Hindi cinema. Vikram Malhotra is a busy man. As we enter the Abundantia Entertainment office in Andheri, northwest Mumbai, we are told he is in a meeting with filmmaker Rajesh Mapuskar for an upcoming web-series. 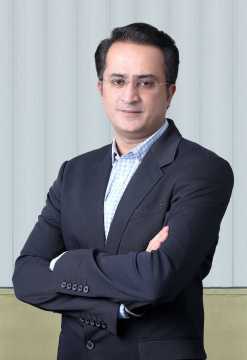 The series, as Malhotra later revealed, is one of several ambitious and content-driven projects that are setting Abundantia apart as a production house. Established in 2013, Abundantia has backed projects like Baby (2015), Airlift (2016) and Toilet: Ek Prem Katha (2017), marking itself out in the changing dynamics of a growing content-aware Hindi film industry. In 2018, the company entered the exploding field of digital entertainment in India with the thrilling Breathe. 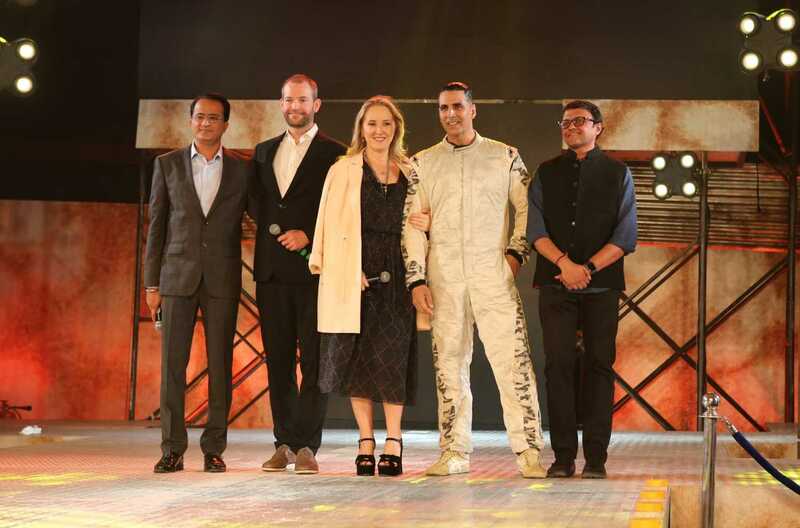 Released in January, the well-received series was a marker of the arrival of A-list stars in the digital medium, leading to Abundantia's most recent announcement of Akshay Kumar's entry to this universe with The End. "We were there because of fundamental, strategic and long-term reasons, much before it became fashionable and cool to be doing a digital show," Malhotra told Cinestaan.com. "Where we stand at Abundantia right now is that there is a dedicated team working only on Originals. This is a bunch of writers, creators, showrunners specifically for creating digital content." With two new verticals, Psych and Filters, and a host of films and digital series, Abundantia Entertainment is set to continue this drive further. Let's start with signing Akshay Kumar for The End. It is a massive step. How did it come about? When did you approach him? I am gonna take a step back to the point when Abundantia decided to venture into the world of digital content. One of the things we are focused on, and which creates the heart of our company, is the idea of creating content for the younger progressive audience, for tomorrow. As a result of this thinking, we have picked up subjects, worked with talents, marketed in manners which have been innovative and connected with the target audience in a factual manner. If you look at subjects like Airlift, till Airlift, films that spoke of patriotism were always either in a jingoistic manner or in your face. Here was a film which was as patriotic as a film could be, but it was about the internalization of that patriotism. If you look at Toilet: Ek Prem Katha, it is born out of an insight into women’s dignity and safety being a rural or mass cause rather than just an urban cause. Typically, these insights are articulated more in the metro cities and urban world. But that doesn’t mean they don’t exist in the rural parts. Three years ago, we were seeing the writing on the wall. The future of content in this country, pretty much how it is being dominated worldwide, is going to be digital. I knew it is a matter of time before the big streaming companies were going to come down to India. Much before any of the large players that exist today in the business, Abundantia started developing capability, content sensibility and know-how of the streaming world. As a result of which, not only did we enjoy a strong first-mover advantage for our first venture, but we were also able to ramp up our creative and output capability significantly. Our first effort in the digital world was Breathe. Breathe Season 2 is in production now. We have an adaptation of Manohar Malgonkar’s The Men Who killed Gandhi, which is in writing at present. We have an exciting slate of shows. This has not emerged overnight. This has been the result of the last three years of work. So, like Breathe, we have conceived them keeping in mind multi-seasonal arcs. We were there because of fundamental, strategic and long-term reasons, much before it became fashionable and cool to be doing a digital show. As part of that thinking, we started asking ourselves that question, that it is a matter of time before audiences across the world realize that content knows no boundaries. We see so many Spanish, German, Mexican, Israeli and Korean shows that travel so well into our country that we consume them and watch them like our own. I asked myself and my team, why can’t the reverse be possible. We were given a proof with the success of Breathe, 40% of whose audience came from international markets. That led me to not only further consolidate this idea, but to take it several levels higher. Anchored on emotion or a story which is universal, treated and narrated in the originality of an Indian show, but built with everything that is required of a global tentpole. As we started developing and brainstorming on the core idea, we also evaluated the opportunity of bringing in A+ talent to headline this. As the nature and genre of the story emerged, it was a simple and straightforward choice to bring in the person who is synonymous with the genre. Then when you look at the boxes that Akshay Kumar ticks when it comes to the complexity of helming and creating such a large show, whether it is commitment, discipline, work ethic or understanding of the genre, for us The End has not been a flash-in-the-pan decision. It has been in the making of an overall strategy for the past three years. Where we stand at Abundantia right now is that there is a dedicated team working only on Originals. This is a bunch of writers, creators, showrunners specifically for creating digital content. Is that necessary for a production house today? There is growing cross-pollination of stories from cinema to the digital world and vice versa in the international market. And many people consider the digital growth a threat to the world of cinema as well. The way we look at it is that we pick stories that lend themselves naturally to a particular medium. Force-fitting one or the other does not necessarily work. When does that decision come in, whether a story is fit for the digital or the cinematic medium? Principally for me, that decision needs to first be clear in the storyteller’s mind. Secondly, these are logical extensions of where the audience of that story will consume it in a convenient manner. A story like Breathe requires a certain engagement and buildup of viewership over a period of time. A story like The End will require the establishing of engagement of an impact of a scale over a period of time. The events that unfold in The Men Who Killed Gandhi, the back story that each of the assassins carries, the aftermath of the event, the investigation, is material which cannot be told, or should not be told, in a 120-130 minute format. On the other hand, stories like Pullela Gopichand’s biopic, or Begin Again, or Rifleman are tightly crafted, told in acts, cinematic large-screen experiences that need to be told in that manner. So for us, the selection of form is one side of the storyteller’s vision. Secondly, it is where the audience is going to enjoy the story the most. In the digital medium, the competition is fierce like it never was. So is there a particular strategy to stand out, in terms of content, marketing? Our DNA is built on uncompromising quality of storytelling. We look to tell stories that are uniquely original. You will find our stories to be pioneers or genre-breaking when they come, rather than being stories which follow the path of a couple of successes. When we did Breathe, we did a trailer which was anchored in emotion. When we are working on The End, everybody else is working in a direction which is more of the same on stories which are based on a successful formula. We found the other extreme where we not only got a superstar talent but also make it on an action adventure show. One upcoming scenario is the remake of the Hollywood hit Begin Again, which Shashanka Ghosh is directing. The original is a very evocative tale of two people finding their second calling and helping each other find their way out of a situation in life. At heart, Begin Again is the story of a relationship which is not defined. You would agree with me that there has never been a better time to make a story on relationships in India. Is that also because the audience now has access to content and is aware of a lot many stories and narrative styles? Grown up, sir! The audience has grown up and matured faster than the storytellers. How do you cope with the challenge? I am not only competing film against film, show against show, but I am competing against any small snack-sized or long-form content, or the occasion of going out with friends, listening to music at home. Today, the battle for the share of mind is so wide that we are open to losing that viewer in more ways than ever before. Challenge number two is a significantly enhanced and hyped appreciation of content. Today, sitting at your home, in your car, in your bus, on your handheld device, you are consuming stories from the world over. Increasingly, especially the youth, thanks to the bootleg-level data tariffs in our country, compare an Indian show with some of the best coming from other places in the world. Gone are the days when you could give substandard content and people would watch because they had no choice. If you couple this with the share of mind, the audience is unforgiving. See what is happening at the box office. If a film does not connect with the audience, it does not open anymore. Five or six years ago, a film would open on a Friday, gradually word of mouth would deteriorate, and then audiences would decide if maybe they do not want to watch the film. Now, the film does not open. People are ‘Sorry, we are not interested’. Or they tune in to a show that they can catch in 20 minutes. That is what keeps me awake at night. Do you see cinema and digital content heading towards a clash in the near future? Or can they co-habit? Firstly, we are right now witnessing only the tip of the iceberg in terms of the digital medium. Secondly, even in terms of films, India is a severely under-penetrated market. Look at our box-office footfalls, you are talking about 4-5 crores as unique footfalls for our biggest grossers. In a country that has a 130 crore population, even if I were talking about 20% being interested or having the capacity to consume films in theatres, you are still talking 20% of that 20%. It is that stark. There is also the cost of access. The debate of cord cutting in the West is precisely because the cord is so expensive. Here, with the new TRAI mandates, the situation is that you can have a Netflix, Amazon Prime Video, Hotstar, cable connection, and still go out and watch movies. You are sitting in the area where, in my opinion, everything is additive. It is not one versus the other. Between 2018 and 2019, I believe we are going to have the best box office in the last 15 years. At the same time, there is an exploding number of people consuming data, video and music on their phone and devices. This is the gold rush for Indian content. You talked about Breathe 2. There is also Akshay Kumar coming up. There is an array of stars moving towards the digital medium. Do you foresee this trend continuing, with digital content improving in technique, narrative and style on par with cinema? We hope The End will usher in that phase. Being set up to compete with the best in the world. The misconception that we tend to get caught with is that cinematic experience is for big budget. Or scale equals how much you spend on the production. Cinematic experience comes from storytelling. It comes from what your core story is. What are the characters you have created and how you work the emotion. It is a matter of time before it comes to a point where if our stories require the budget that we hear of global tentpoles, then so be it. I don’t think any of the streaming platforms are going to hold back on that front. You have focused so far on stories with a human, emotional connect. Is that a narrative line you will look for in all stories in the future as well? I have a fundamental belief that the human being on the other side of the screen connects and empathizes with the person on the screen. Is that also the reason for the two new verticals, Psych and Filters, launched by Abundantia for its digital arm? The two new verticals were precisely based on this philosophy. Of the two verticals we have launched in January, Psych focuses on horror and the supernatural while Filters focuses on the young adult and Gen Z. These are verticals where we realized the necessity to be so focused to this audience, and be such a dedicated and unique segment, that the one-size-fits-all strategy can’t work here. We are building an exciting slate under both verticals and will soon be announcing our first set of titles in each. You also have an exciting slate of films with the Pullela Gopichand biopic, Rifleman and the Begin Again remake. How soon can we expect them? All of them go on the floors this year. Begin Again is in active writing, after which we will get to casting. Pullela Gopichand is ready for shooting in the second half of this year. The man is a living legend. What Gopi has done for sports in our country is in many ways unparalleled in most other sports. His vision when he won the All-England in 2001 was to make a champion out of the nation. He believed that India needs a generation of champions. Today, his sacrifice has put India on the badminton map. We have Olympic medals coming in a sport where we weren’t competing properly for years. You have world champions and top-rankers emerging in both men's and women’s categories where we were thought to be weak. Rifleman is another war epic based on a true event of the India-China war. We also have a number of very exciting projects like a film with Aarif Sheikh, one of India’s finest editors, and Nishikant Kamat, who has a fine gritty take on realistic events. Rajesh Mapuskar is working with us on The Men Who Killed Gandhi. The matter is sub-judice, and we are pursuing all legal options. Suffice it to say that our desire is to maintain the integirty of the story and the way we do our work. We will do what is right, and make sure what is right for the film is done. One of the country’s most exciting stars, Sushant Singh Rajput, is headlining the film, and the film is one every Indian can be proud of. So we are very eager to bring that to screen, and it should be very true.